DAY 2 - VISIT GARJIYA TEMPLE, CORBETT FALL & MUSEUM You can visit the Garjiya Temple and get plenty of water in Kosi river to play for.You may plan visit to Corbett Fall ( Waterfall in forest approx 30 kms from Ramnagar and Corbett Museum- Former house of legendry hunter Jim Corbett now converted to Museum. On the way you can built the magnificent temple of Lord Hanuman- Hanuman Dham at Village Choi 15 Kms from Ramnagar. Overnight at Corbett. 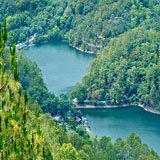 DAY 4 - TRIP TO RANIKHET- Transfer to Ranikhet (90 Kms /2.30 Hrs).Proceed with local sightseeing of Ranikhet covering- KRC Museum, Golf Ground, Chaubatia Garden, Haidakhan Ashram, Rani Jheel. "The place is a decent place to stay with you family/ freinds or even close associates. The place offers a great stay with friendly staff.we arrived at the reception and were greeted by a very cute looking steward who was very small in height and dressed like a jungle ranger/hunter.... very jolly in nature and this made a very positive impact on our decision to stay at the resort..."
"One of the best resort i have ever visited. We visited during monsoon and I guess it was the perfect time to be there if you are a nature lover. The Resort is vast and located in the mid of beautiful reserve forest area surrounded by mountains and valley. We really enjoyed the stay. " "Good hospitality and the chef made awesome food!! They took our recommendations and cooked food of our choice. Room service and place is awesome. Its a kid friendly hotel.There's a pool and a small garden where kids can play & you can keep an eye on them..
"Frankly never expected the ambience at Aahana Resort to be so perfect for a weekend sojourn ! The meals sumptuous - the menu extravagant ! The service was par excellence ! 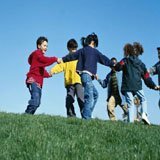 The various In house activities kept the kids really busy ! The location is at the edge of the Corbett Forest and the Rooms tastefully decorated. " "I visited this place in March 2016. I would rate this place not very good, but yes above the average. The best thing is that place is just near to the river. So you can walk down and enjoy if you want different experience from swimming pool. Ample space for kids to play. " "A true resort in all sense. 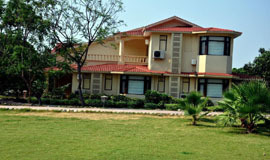 Enjoyed the stay here, resort has lot of green area, walkways, big lawns, huge playing area, indoor play area and a pool. its a river side resort having nice and peaceful areas. Rooms are basic though and are not giving any luxury feel but are comfortable." 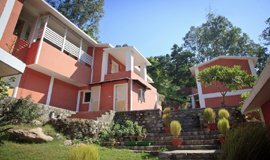 "The resort is very peaceful surrounded by the beauty of the forest and the charm of Kosi river . I have stayed in this property many times but it still continues to surprise me with is wonders and amazing ambience. It's recently been beautifully renovated and more charm has been added to it. Exclusive Jiva spa with a serene atmosphere ." 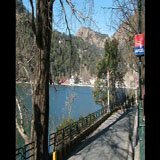 "After completing our Mussourie and Nainital trip we reached Corbett riverside resort. We were greeted by the front desk staff while we were still on our way to the resort over phone informing that we were awaited at the resort. This was really a nice way to make us feel welcomed. The property is one of the oldest resort (25 years) with the best possible Kosi river front. "The stay at the resort is a nice experience. 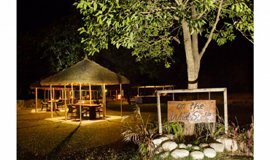 The property is located near the Kosi river and one can get a great view of the river from the high banks near the restaurant. There is access to the riverside . I am however rating this high coz of the wonderful variety of food it offers. The menu is carefully planned and offers good variety of dishes for the vegetarians as well as the meat eaters. " 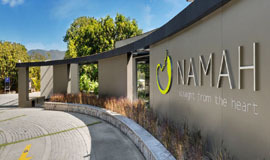 "Namah continues to exceed expectations!! Second visit with family and can't wait to go back again :). Very well maintained property, great food, well trained and helpful staff - they really have all it takes for a perfect holiday. Kripal, Ashwin and chef Mr. Singh's hospitality was absolutely fantastic." 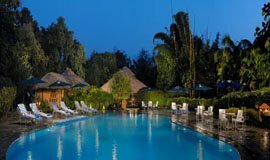 Hotels and Resorts in Corbett offer many fitness and recreational activities to their guests like spa, Jacuzzi, sauna to their guests. Spa in Corbett is an awesome way to unwind and relax. Let yourself to be pampered by professionally trained staff let all you tension out of door. 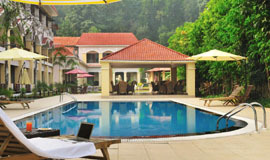 Spa Hotels and Resorts in Corbett provide flawless services developed on basic of ancient and western science. Spa Hotels and Resorts in Corbett use natural herbs and oils which brings the experience of lifetime. The spa in Corbett uses blend of organic plants extracts for exotic treatment of their customers. 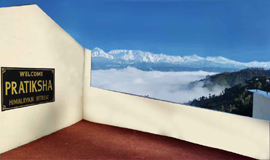 Garjia Devi Temple is located at an approx distance of 14 km from Ramnagar railway station on the route to Ranikhet. 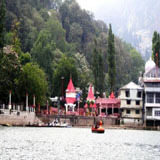 The temple is indeed a huge rock that is placed in between river Kosi, which was named after the deity Garjia Devi. Devotees reach temple after climbing several flights of stairs. Every year thousand of devotees visit every year to worship Maa Garjia Devi. It is must visit for couple visiting Jim Corbett National Park. Sitabani Forest Reserve is located at a distance of 10 km from Ramnagar; Sitabani is not the part of Corbett Tiger Reserve. Sitabani is a dense forest area and heaven for bird watchers as the place is only spot where many species of migratory birds visit every year. It is home to many wildlife species like tigers, leopard, wild boars, barking deer, elephant and king cobra. It is the place where Sita from epic Ramayana spent his expulsion days. Declared as buffer zone area by the forest officials only has two modes of transport - Elephant and Jeep Safari is allowed. Corbett Water Fall is situated at an approx distance of 25 km from Ramnagar City by surface. It is a 60 feet high water fall pouring fresh and pristine water. The waterfall is placed in the midst of thick dense jungle and fall down into a small lagoon like pool. It is an awesome picnic spot for tourist visiting Corbett National Park with friends and family. Tourist can take a dip in the green water and refresh all the senses of the body. Dhangarhi Museum is built near Dhangarhi gate located at a distance of 20 km from Ramnagar railway station. The museum is set up for the little introduction to Jim Corbett National Park and species of flora and fauna inside the Park. The museum portrays the best information about the land contour and wildlife species inhabited the park. River Kosi flows close by to the Corbett National Park and forms the eastern perimeter of the Park. Wild animal inside Jim Corbett National Park come at the banks of river for drinking water especially during evening and morning. Many species of fishes like Mahasheer are found in river Kosi. Many species of migratory birds also visit the banks of river Kosi. So the area is best for bird watching and photographing them. 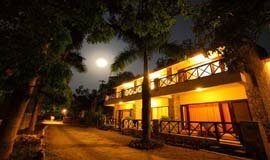 It is an splendid place for young people visiting Corbett, sitting at the banks of river in evening and sipping a beer is experience of life time. Bijrani Tourism Zone is the most famous zone of the park, known for its rich flora and fauna and green vegetation. Bijrani is the most populated zone of Tiger Reserve with several species of mammals, reptiles, birds. Amdanda Gate near Ramnagar is the entry point of Bijrani Zone. A Jungle Safari in Bijrani offers highest possibility of spotting a tiger. Highly dense population of wildlife; comprising of open grasslands, deep & dense forest with stormy drains is some of the primary attractions of Bijrani wildlife zone. 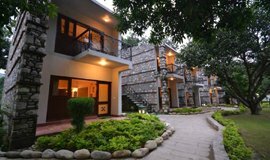 Jim Corbett Museum is winter residence of Sir Jim Corbett located at a small town Kaladhungi at a distance of 30 km from Kaladhungi. This museum is actually home of Jim Corbett, a renowned hunter turned environmentalist who raised the need for wildlife conservation and played major role in establish of Jim Corbett National Park. By visiting the Jim Corbett museum you will know how awesome these man-eaters are and the close encounter of such species is really worthwhile. Jeep Safari in Corbett follows the predefined task and offers opportunities to spot exotic species in their natural habitat. Corbett National Park is one of the best natural destinations where the high concentrations of animals occur. If you love big cats in their natural habitats then leave the town back and plan a trip to Corbett in search of majestic wild animals and wild tigers. Jeep Safari in Corbett is open throughout the year but from month of November to June is the best time for Jeep Safari in Corbett. Elephant Safari in Corbett is most fascinating and safest way to enjoy elephant Safari in Corbett. Riding on the back of biggest land animal steered by trained Mahouts is the high point of wildlife tourism. Elephant safari in Corbett follows predefined trails in effort to ensure that guests get to visit all the expanses of where you will be able to see several species of mammals, birds and reptiles present in Corbett National Park. Elephant Safari is a awesome experience to traveler to get into the wild and roam in the open ground of these awesome creation of nature other than us. Fishing or Angling in Jim Corbett National Park was a perfect destination for angling with your friends and family. There are two major rivers; Kosi & Ramganga passing through Jim Corbett National Park and both them provides ample opportunities for fishing and angling. The stream flowing from these areas offers many options to choose from like what type of fish they want to concentrate � different areas in rivers are rich in specific type of fish or if they want to engage in fishing on the banks or on boat. The rivers in Corbett are rich in Black Masheer, Goonch and the Silver Masheer. Nature Hike, the finest means to see the thick jungle around Corbett national park. It clears the view of how the villagers used to travel from one place to another resting at water sources. There are several treks inside the Park with different levels of difficulty. Nature treks are allowed only in the few areas of the Corbett in rest other areas treks are not allowed. Jim Corbett National Park is a perfect place to visit during your vacation. 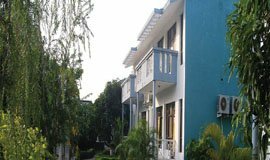 To provide several refreshing activities there are several Hotels and Resorts in Corbett provide with spa, sauna, Jacuzzi, steam bath to their guests. Corbett Spa Resorts introduce you to a place where you can spend your time in a cozy spa. The luxurious accommodation in partnership with contemporary amenities enhances the experience of the travelers who wish to relish nature in its true sense. So next season when you want to experience the nature to the soul plan a trip to Jim Corbett National Park and book online a Corbett Spa Hotels and Resorts @Allseasonsz.com. 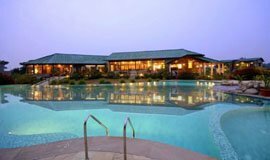 Get the best deals with tariff on online booking Spa hotels and resorts in Corbett. 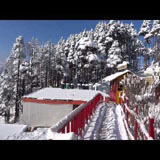 Choose from the list multi dimensional array of package @Allseasonsz.com � Uttarakhand/Himanchal online travel company. 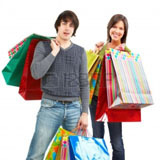 Hotels in Corbett,Audit, Corbett hotels, hotel in Corbett,Corbett hotel, best hotels in Corbett, resorts Corbett, budget hotels in Corbett, Corbett budget hotels, cheap hotels in Corbett, 2* 3* 4* hotels in Corbett, Corbett hotel online booking, Corbett hotel, rates, prices, packages, tariffs, luxury hotels in Corbett,Hotels in Corbett Uttarakhand,India, good hotel in Corbett @allseasonsz.com.Book online Hotels in Corbett and resorts and get exclusive discounts on hotel room rates and packages Corbett trips to Almora,Kausani,Ranikhet,Nainital,?Your search ends at allseasonsz.com- the most established Corbett travel agency since last two decades. 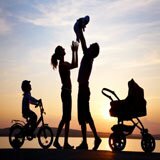 Need All Seasons Holidays Help?